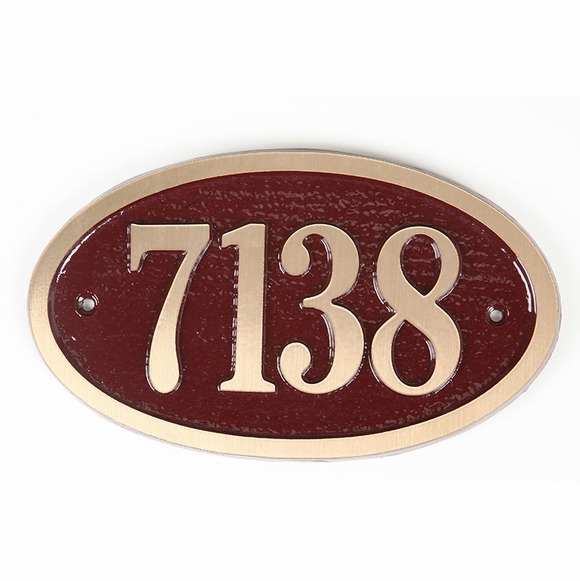 Personalized Cast Brass House Number Sign - - one-line address sign holds up to four 3" characters. Made in USA. Solid cast brass construction and in your choice of 16 colors. Hand crafted in the USA from start to finish by the same skilled craftsman to assure the highest quality.